What originated as a suggestion by Wyoming County Coroner Tom Kukuchka is about to become the latest state law aimed at counteracting the severe opioid crisis afflicting Pennsylvania communities. I introduced Senate Bill 978 to allow hospice workers to dispose of medications left behind when a home hospice patient passes, relieving the burden of grieving families, and helping to keep the drugs out of the wrong hands. 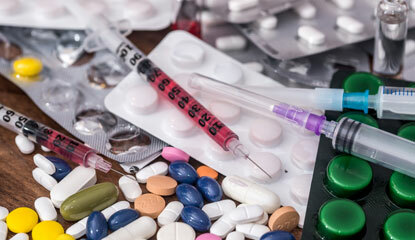 The modification was necessary due to a change to federal Drug Enforcement Agency (DEA) rules that prohibited disposal by homecare providers, unless specifically authorized by the state. The legislation recently received unanimous approval and is awaiting the governor’s signature. A family losing a loved one has emotions to cope with and difficult decisions to make. They should not have to worry about how to properly dispose of unused medications. That task can be safely and efficiently handled by the trained medical personnel from the hospice or homecare facility. “Overdose fatalities are at record highs. One of the ways we can help counteract this epidemic is to prevent properly prescribed drugs from falling into the wrong hands,” Coroner Kukuchka told me. The opioid crisis has been declared an emergency because of the heavy toll in lives lost or seriously disrupted. We need to continue to overhaul laws, regulations, and rules that contribute to the problem. We see encouraging signs of the necessary commitment on the part of public officials, health care professionals, law enforcement, and private citizens to finding additional ways to make a constructive difference. Legislation improving elevator safety across the state has been sent to the governor to be signed into law after the Senate and House both overwhelmingly approved Senate Bill 934. Sen. John Yudichak and I worked to advance “Kristopher’s Law,” following the loss of Luzerne County Corrections Officer Kristopher D. Moules. He and an inmate died following an altercation and subsequent fall down an elevator shaft at the Luzerne County Prison in 2016. Kris was a natural leader and motivator who lived a life of service to others. He was a baseball teammate and college roommate of my son Carson. While the Department of Labor and Industry is responsible for administering and enforcing elevator safety standards in Pennsylvania, the current board rarely meets and has very little power. Nominal oversight, rarely exercised, provides flimsy public protection, so this measure represents a significant modernization. Assumed safety is proving dangerous, and that is unacceptable. The bill, soon to be law, creates an Elevator Safety Board that will conduct a monthly review of issues related to elevator construction, maintenance and inspection. The body will also have regulatory authority, including the ability to grant exceptions and variances to existing codes, and membership will include those with expertise in the safe operation of elevators. The Pennsylvania Game Commission is calling on residents to assist in monitoring the health of Pennsylvania’s summer bat colonies through the Appalachian Bat Count. Details can be found by clicking here. Bats play an important role in our ecosystem by eating mosquitos and other insects. With the occurrence of White Nose Syndrome in Pennsylvania, monitoring these colonies is more important than ever. This bat count can be a fun family activity or a good group activity for campers, youth groups or other organizations looking for a way to connect with nature. From left, Wallenpaupack Area High School senior Evan Sennefelder, Sen. Lisa Baker, Wallenpaupack Area High School senior Andrew Stuart and automotive technology instructor Dr. Mark Watson. The students, Andrew, from Lackawaxen Township, and Evan, of Dreher Township, were victorious in the National Automotive Technology Competition held in New York City. 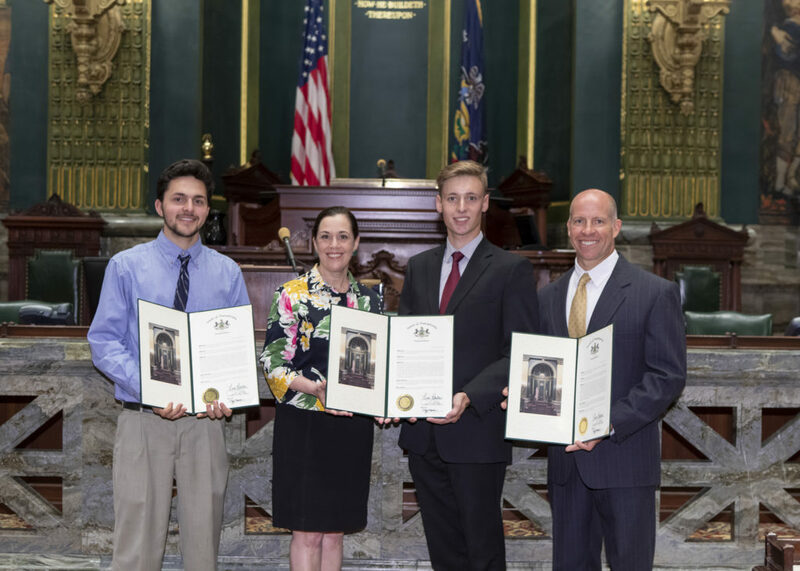 Sen. Baker invited them to Harrisburg and shared their championship news with the Senate. By winning the competition, the students earned college scholarships to automotive and diesel technology programs. Evan will attend Universal Technical Institute and Andrew is enrolling at Lincoln Technical Institute. Sen. Baker recently welcomed the three-time national champion Dallas High School LifeSmarts Team to the state Senate. In May, the team captured top honors at the 24th annual competition held in San Diego. 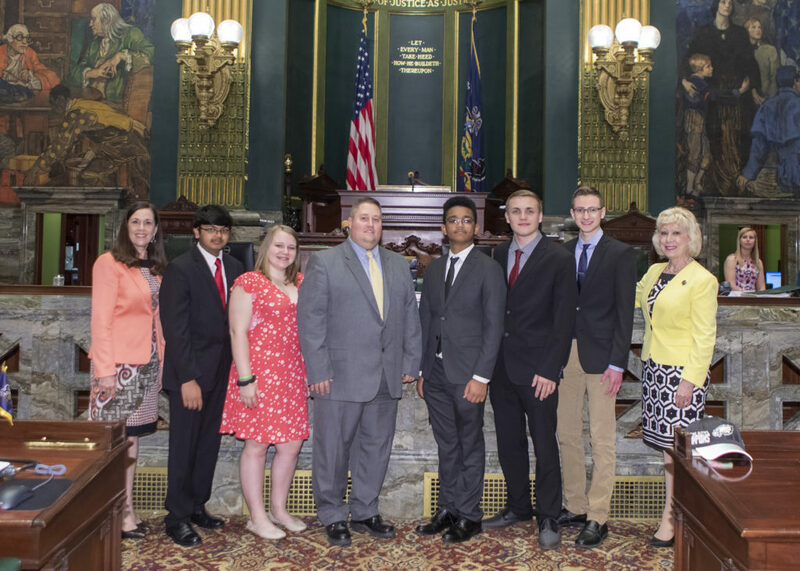 Coach Kevin West accompanied team captain Matt Metzloff, who has been part of all three championships; Raymond Perez, who has been part of two championship teams; and first-year members Caleb Swetizer, Hannah Wolfe, and Vidhan Dhol, to the capitol. Dallas knocked out teams from Florida, Arizona, Kansas, and Hawaii to win this year’s contest. Pictured, from left, are Sen. Baker, Vidhan Dhol, Hannah Wolfe, Kevin West, Raymond Perez, Caleb Sweitzer, Matthew Metzloff, and State Rep. Karen Boback. 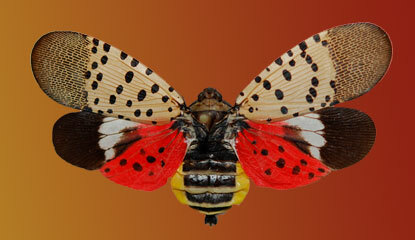 An aggressive and costly battle is being waged across the Commonwealth against an invasive species known as the Spotted Lanternfly. It threatens the state’s hardwood and fruit industry, including grape growing and the production of wine, because of the rapidity with which it has spread. The Department of Agriculture is working to eradicate the costly and invasive pest, which was first spotted in Berks County in 2014. Its presence has dramatically increased, both in southeastern Pennsylvania and in several surrounding states, including New York and Virginia. A quarantine currently covers 13 Pennsylvania counties. The insect has not been reported in the 20th District, but has been seen in neighboring Monroe and Carbon counties. The Department of Agriculture recommendations also include tree banding, responsible to-date for killing 1,065,258 Spotted Lanternflies. If you see the insect, report your findings to the PA Department of Agriculture at Badbug@pa.gov or 1-866-253-7189.